It sounds contradictory, but a river cruise is one of the better vacations to take for those who enjoy keeping active. While river cruises are enormously relaxing, they are also enormously active. Shore excursions, particularly in small towns and villages, tend to come in the form of guided walking tours. Even in larger cities like Vienna and Budapest, the typical included excursion tends to spend half of its allotted time on foot, with a panoramic city tour by motorcoach making up the remainder. This may come as a surprise to those who have taken ocean cruises before. Most mainstream ocean lines tend to offer a wide variety of activities that are sedentary at best, with minimal mobility requirements. Due to their immersive nature, river cruises don’t offer that minimalist approach simply because they can’t: many European towns are built for walking, not massive motorcoach tours. 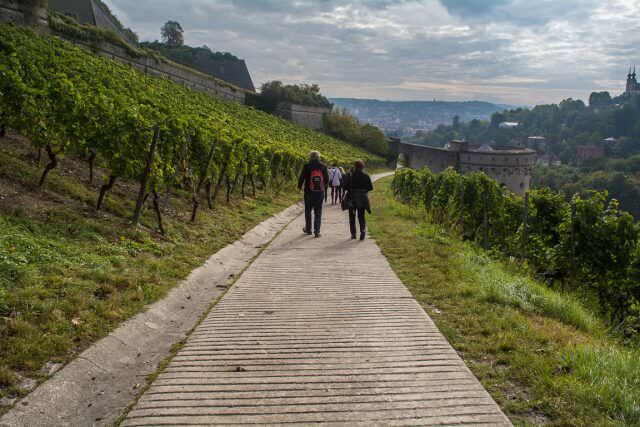 What is unique about river cruising, though, is that these walking tours attempt to cater to guests with a wide variety of mobility levels – and they do that by offering three different kinds of tours: Active Walking, Normal, and Gentle Walkers. Normal Walking Tours have no special name or designation. Typically, they are the walking tours that are as described by your Program Manager at the nightly briefing for the following day. You don’t have to sign up in advance for them, as it is assumed that most guests will opt for this choice. Generally speaking, these walking tours are over flat ground, which may be either paved or cobblestone streets. Inclines are minimal (again, depending on the town), and although a few steps may have to be negotiated, the pacing of these tours is such that plenty of periods of rest are provided. It shouldn’t tire people of moderate physical ability, but it won’t bore active walkers with endless shuffling along, either. These normal – or standard – walking tours are a good happy medium for most guests. Gentle Walking Tours are provided in select ports of call. Most river cruise lines offer some form of “Gentle Walkers” group whenever possible, particularly in towns without a less strenuous alternative. They’re not, for example, typically offered in places like Vienna, where most lines feature a Panoramic Tour of the city’s Ringstrasse (Ring Road), followed by independent free time or a return to the ship. Instead, they’re offered in places like Durnstein, Austria and Kinderdijk, Netherlands; places where the main sights can only be seen on foot. Gentle Walking Tours are exactly as they sound: slower-paced tours that are suitable for those with mobility difficulties, or those who simply want more time to stop and smell the roses, as they say. They are by no means limited by age; everyone is welcomed in these relaxed walking excursions. Because of their reduced pace, the Gentle Walking Tours may not visit all locations that the normal walking tours do, but Program Directors and local guides are mindful and work in the most important sights and places of interest. Typically, you have to sign up for these Gentle Walking Tours, when offered, the night before so that cruise staff can get an estimated count of the number of folks coming. Gentle Walkers are assigned their own group and guide. Active Walking Tours are the inverse of Gentle Walking Tours. Active and fast-paced, they typically cover more distance and include a few more sights, or they may visit locations with numerous steps and steep inclines. An excellent example of an Active Walking Tour can be found in Durnstein, Austria, where guests may be led on a guided exploration up to the ruins of Durnstein Castle. Overlooking the town nestled within the heart of the Wachau Valley, this is where Richard the Lionheart was imprisoned in 1192 by Duke Leopold V of Austria. You don’t have to be an advanced hiker or climber to do this tour, but you should have good endurance, balance and dexterity due to some pretty steep inclines and loose terrain. The walk itself is only about 20 minutes and comes in at one kilometre, or half a mile. Almost all of this, however, is uphill, and coming down can be hard on the knees. 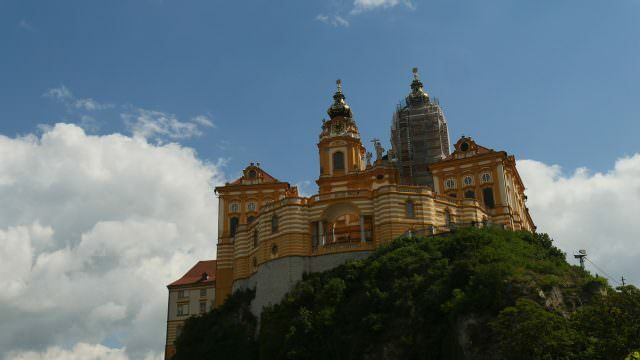 Other examples of Active Walking Tours might include a walk up to Melk Abbey in Melk, Austria; a walking tour of the Buda and Pest sides of Budapest; or a hike up to the Marienberg Fortress overlooking the German town of Wurzburg. No matter what your activity level is, there is probably a walking tour to suit it on most river cruises. The one exception here involves wheelchairs: Europe is notoriously unsuited to wheelchairs or mobility scooters, and most river cruise ships are unable to accommodate them. Please note that the table can be scrolled horizontally if needed so that you may view all data. 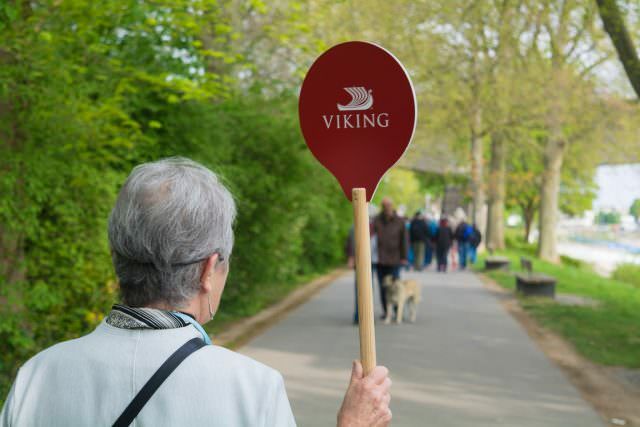 ^Viking will be adding active touring options, including guided hiking, cycling and canoeing excursions, to select river cruise itineraries beginning in 2018. Bikes will not be carried onboard, and will instead be provided in select ports of call. It’s very hard to say because each cruise line differs. But maybe Gentle, 1 mile, Standard 1.5 miles, Active 3 miles.